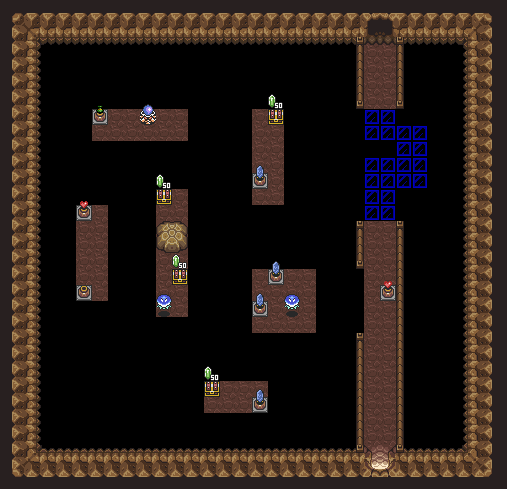 Dark World Death Mountain – Contains four chests. Named so because the game expects you to use the hookshot to move from island to island, collecting the chests contained within. In order to access Hookshot Cave, you need East Death Mountain access and the Power Gloves to move the level one rock hiding the entrance. 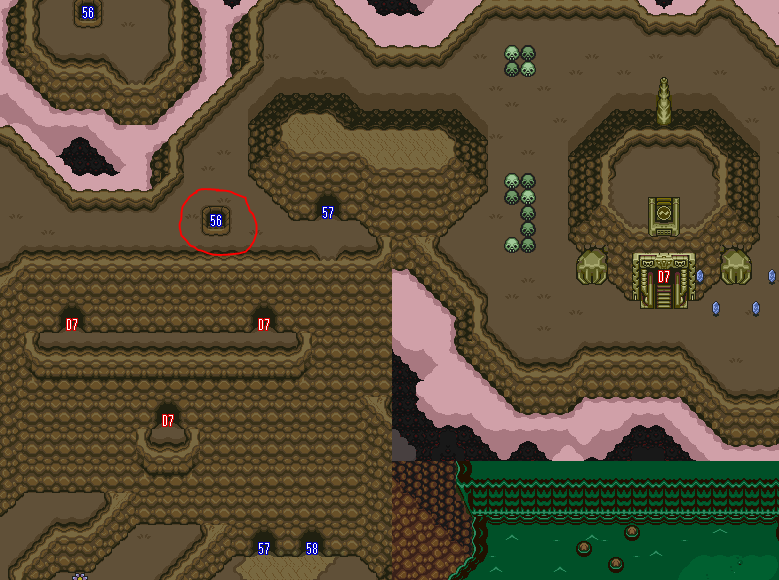 Once inside, the southernmost chest can actually be accessed without the hookshot by performing Pegasus Boots bonks to get across the smaller gaps. This chest actually can be within logic if East Death Mountain access and Pegasus Boots have both been obtained. In fact, that chest could even contain the hookshot! It is also technically possible to hover from island to island in this cave which can bypass the need for the hookshot. The hookshot cave is also used as a pathway to access the Floating Island item location visible from Hookshot Cave’s entrance. In order to collect the item there, the mirror is required.